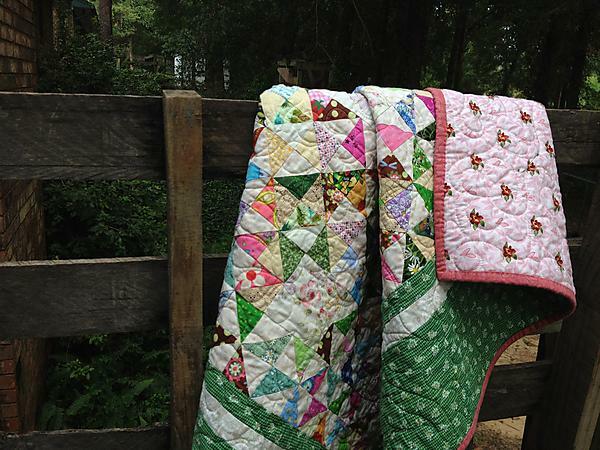 There are a few Tips for having your quilt ready to be quilted. Please have the top and backing pressed. The seams on the quilt top should be pressed. Please also trim away the hanging threads. The backing and batting should be 5 inches larger than your top at the side and top. That means at least 2 1/2 to 3 inches all the way around your quilt. If you need to piece your backing, please cut away the selvage from the seam and then use a generous 1/4 up to 1/2 inch seam allowance. Make sure the seam is pressed to one side. Do not baste your quilt before bringing it to me. Fullness in the quilt and borders can not simply be “quilted out”. Make sure you measure and put your borders on carefully. If you are unsure about how to measure and attach borders, there are some awesome tutorials on-line. I do not offer binding services.